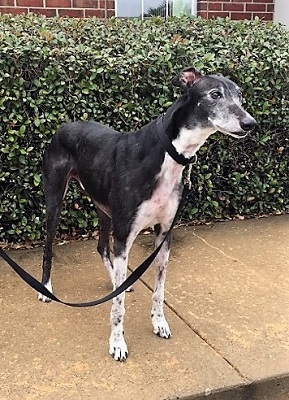 Tipp, aka Tipp Tommy, is an Irish bred 11 year old black male with striking white markings born January 31, 2007. His sire is the Irish Bred Toms the Best, and his dam is the Irish Bred Lead Dispute. 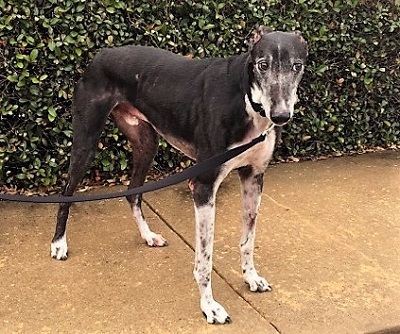 Tipp raced at Gulf Greyhound Park from August 9, 2009 to July 9, 2010. 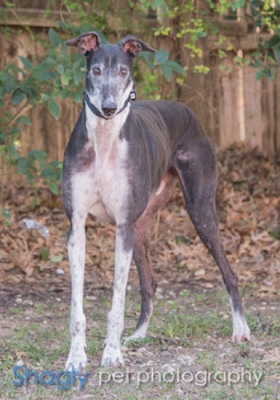 He was then adopted and has now entered the GALT family through no fault of his own. This sweet boy needs his own family to spend his life with. It is not known at this time if Tipp is cat or small animal tolerant. 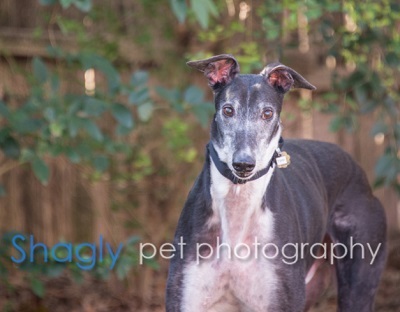 Tipp, Tippy is a very youthful 11 year old boy with beautiful house manners and very few requirements. He wants someone to lean on, to feed him, to love him. That's it. He plays like a puppy, loves his hound-house-mates and is fascinated by other breeds. Tipp loves kids, and wants to sniff them all over. He refuses to use the dog door, but has never had an accident in the house. He loves his beauty naps and sleeps on the couch if you let him. He loves walks and car rides. If you sit on the floor with Tipp, he will try to get into your lap, not knowing he isn't a tiny lap-dog! Tipp loves all attention, please come meet him so he can lean his happy self on you!